Kevin from Awkward is What We Aim For here to share with all you Reel Artsy fans my regular feature Netflix Pix, highlighting some films you should have on your queue as we speak. To celebrate the first collaboration between Awkward is What We Aim For and Reel Artsy, we have three movies featured today instead of my usual two, one regular mail and two Instant Watch. The combination (and the title of this post) is awkward, but that's exactly as it should be, no? I had always seen bits and pieces of Eternal Sunshine of the Spotless Mind (2004) before, but I'd never seen the whole film in one sitting. It's a good thing I finally accessed it on Instant Stream today--along with Black Swan, Vicky Cristina Barcelona, The Devil Wears Prada and Moulin Rouge!, the film is firmly planted among my favorite films of all time. It also can boast that it is among the best I have ever seen--not an easy distinction. Starring Jim Carrey and Kate Winslet, Sunshine revolves around the ideas of manipulation of memory--what if ex-boyfriends and ex-girlfriends could be erased, never to be thought of again? Science fiction-based but truly grounded in the humanity of its characters, including the quartet of memory-erasers who provide a secondary, equally moving plot, Sunshine never forgets the essential reality lying underneath its mystical premise. The film is truly original, a work of art that is the rare intersection of great acting, great direction, and great writing. The fact that it was not nominated for the Academy Award for Best Picture in its year is a crime--it should have been the clear winner. Director Michel Gondry truly manipulates the audience, traversing cinematic worlds that others would never dare consider. It's a shame his last film, The Green Hornet, was such a disappointment--perhaps if he had used his flair for the bizarre but incredibly functional there, it would have been better. It is surely in full effect here, and it is paired brilliantly with Charlie Kaufman's dynamite screenplay. Both challenging and complex, Kaufman twists time and expectations for maximum payoff. It's a fantastic trick and one that might never be pulled off again with the same aplomb. No little amount of credit for the success of the film goes to the actors, a sextet of brilliant natural actors that allow the two parallel stories to intersect and blossom beautifully. Carrey and Winslet are both doing phenomenal work here; for Winslet, this is likely her best ever, if not perhaps just behind Titanic. The other members of the ensemble, including a superb Kirsten Dunst and Tom Wilkinson, facilitate the parallel plot with flourish. Mark Ruffalo and Elijah Wood are also doing strong work here, though my one (minor) criticism of the film would be the underdevelopment of their technician characters. I've long had issues with Up (2009). I saw it shortly before it won the Academy Award for Best Animated Feature last year and before it was just the second animated feature film ever to be nominated for the Best Picture prize and absolutely hated it. I rewatched it recently and found that it wasn't quite as bad as I remembered, but I still have one major issue with it that will forever prohibit it from being a favorite of mine. 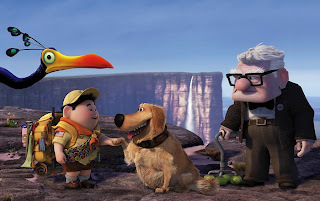 An artistic marvel, Up tells the story of Carl Fredricksen (memorably voiced by Ed Asner), a curmudgeon who attempts to escape the world by using balloons to lift his house into the air. It makes more sense in context. He winds up on a tropical island with a Boy Scout who tagged along, a dog who can speak (Dug, who we'll discuss more in a bit), and a flamboyant bird named Kevin and is forced into an altercation that is far too cartoony to even describe. But that's not the real story. The real story is the first twenty minutes, a sequence called "Married Life." Scored by the brilliant Michael Giacchino (who scored the rest of the movie, too, and won an Oscar for it, but that's not important right now), the sequence, aside from a brief spoken introduction, is a wordless depiction of the beginning and ending of a relationship, done in nothing more than quick scenes. The entire sequence is nothing short of devastatingly beautiful, heartwrenching, and a sight to behold. It is not only one of the greatest animated sequences of all time, it is one of the greatest cinematic sequences in history. No qualifier necessary--it's sheer brilliance. It is because of this that I have such issues with the typical cartoon plot that follows. A movie with that ambitious a beginning deserves a more ambitious follow-through. I often hear in response, "Well, Kevin, it's a kid's movie," but I don't think there's been a Pixar movie in some time that was really a kid's movie. WALL*E remains one of my favorite films of all time, and I certainly wasn't a kid when I saw it. The only element in the rest of the film that really worked for me was Dug, the talking dog, and even he was too cartoony. The only reason I liked him so much was because Bob Peterson, the voice actor, gave such brilliant line readings it was impossible to not fall in love with the character. All in all, not a great movie. But a passable one. B for the film, A+ for "Married Life"
And finally, our bonus Instant Stream film today is Kramer vs. Kramer (1979). One of the most superbly-crafted pieces of family cinema I've ever seen, the hard-to-swallow film about a custody battle boasts the finest performance I've ever watched from Dustin Hoffman and truly phenomenal work from Meryl Streep (as if she can deliver anything less). Since this is a bonus, I'm not going to talk much about the film itself--it really must be discovered as the story progresses, anyway. Suffice it to say it is a storytelling marvel, if a bit simple from a cinematic point of view. The film gets an A-, but the real standout is Streep. She won one of her two Oscars for this performance, and it's easy to see why. 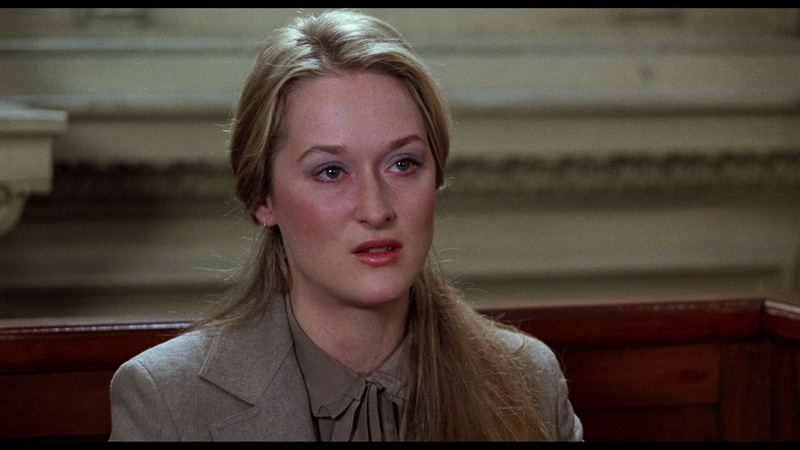 Like most Streep performances, she tosses away all vanity, but there's something more to this one. With all of Streep's performances in the 21st Century, there's been a hint of self-referential in each. A sort of "I am Meryl, screen titan" quality that she is certainly not imbuing in them herself, but is a natural side effect of being considered the greatest actress who ever lived. None of that exists here. This is Streep proving exactly why she has the title she has. She is masterful. Other than in Sophie's Choice (her other Oscar win), there is no better performance in her repertoire. It's a must-see for every up-and-coming actor: this is how you make a career for yourself. This is how you get them to remember your name. 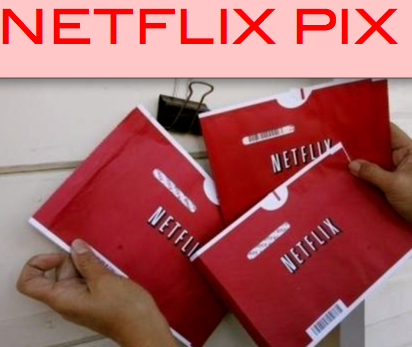 Well, there's our three Netflix Pix for the week. Like them? Hate them? 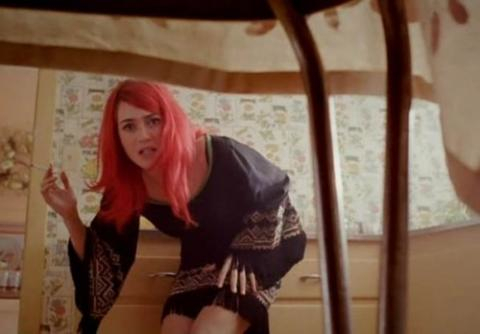 Think I'm inhuman for not loving Up? Take it to the comments! Well, I have not seen Eternal really not a Jim fan,I do like Kate.I think I'll get it out. 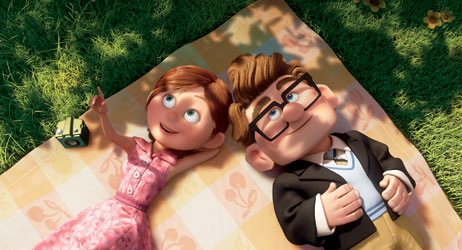 Now " UP" the opening is endearing,he lived her adventure. aaah... = ) . Kramer is a classic !!! Think they will do a remake ? Nice write-up Kevin. 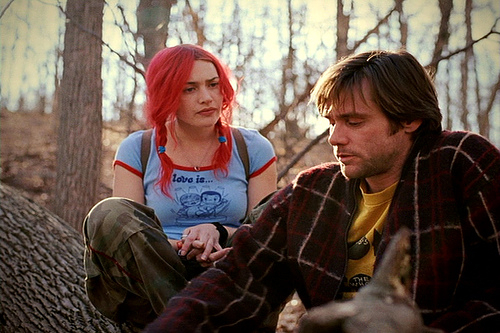 Eternal Sunshine of The Spotless Mind is one of my all time favorites. It's a perfect blend of quirky. Surprisingly, I still haven't seen Up yet. And not for lack of opportunity. I've only heard good things about it but I haven't been in the mood for it. Whenever I decide to watch it, I'm sure I'll love it because Pixar does an amazing job with their storytelling. 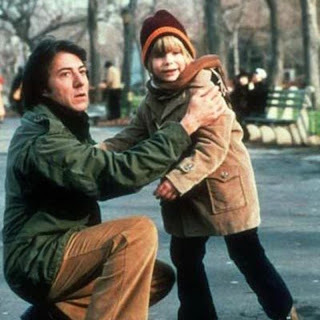 I hope Hollywood leaves Kramer vs. Kramer the way it is. Agreed with Karen. If they remake Kramer vs. Kramer, I might scream. It's the bad movies with good premises that need to be remade, not the good ones that are well-executed. "It's the bad movies with good premises that need to be remade, not the good ones that are well-executed." I'm trying to think of a great film that got remade and was equal or better than the original. Has that ever happened? Well, it's a bit of a cheat, but there's True Grit. That was a case of two different interpretations, one closer to the book (the Coens version) and one that was more of a departure (the John Wayne version). Same thing with Willy Wonka and the Chocolate Factory versus Charlie and the Chocolate Factory. The only pure remake I can think of that fits the criteria is The Thing. I couldnt agree more about Kramer Vs.Kramer please don't Hollywood mess up a classic! 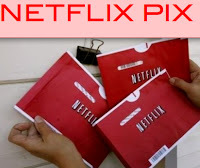 Nice movies picks and lets give up for Netflix! Very good blog post ! Yes, Netflix is an awesome creation! Silly Blockbuster for not buying them out when they had the chance. I guess True Grit counts. I'm not a fan of Westerns or Charlie & The Chocolate Factory though. Lol.